All foreign nationals entering India should possess a valid international visa obtained from an Indian Mission or Post abroad. All these countries have Indian Visa Centers affiliated to the particular Indian Mission in the respective country. The majority of Indian Missions or Posts abroad have outsourced their visa handling procedures to third party services. These third party services maintain fully-fledged Indian Visa Centers where potential applicants can apply for visas. This article provides a comprehensive overview of Indian Visa Centers in foreign countries. Indian visa seekers can apply for their respective Indian visas through online links of the visa center in their respective countries. A fast alternative is to use an online agency such as Indian Visa Online, where you can conveniently apply via the Internet and get approval typically in about 4 business days. If going the India Visa Center route, the physical application copy should be duly signed and submitted to the Indian visa application center on the scheduled date of interview. Make sure to bring all the supporting documentation on this date in order to facilitate the procession of your visa application. All instructions about filling the visa form correctly could be obtained through the respective visa centers in your resident country. The website of the visa center will also provide such information, including the technical instructions of filling the visa application. Visa centers have facilitated the processing and issuing of visas to prospective applicants. The Ministry of External Affairs (MEA) of the Indian government has taken a policy decision in outsourcing the visa application process to eligible third party services throughout the world. This decision has helped expedite the visa issuing process in Indian Missions across the world. These visa centers possess the latest technology, equipment as well as high qualified and experienced staff to handle and serve large crowds at a time. In fact, there are so many applicants speaking highly of the services offered by these centers. There are many online forums with positive comments and testimonials about these visa centers around the world. Government of India issues several types of visas such as business visa, conference visa, journalist visa, diplomatic visa, emergency visa, employment visa, entry visa, medical visa, missionaries visa, tourist visa, student visa, research visa, transit visa and permits to re-enter. To apply for an e-Tourist visa, please use an agency such as Indian Visa Online, we’re happy to help. The visa application center will usually process any of these visas within a minimum of three working days. Emergency visas are issued much earlier than this depending on the cause of the emergency. The visa center will process the case and issue a valid visa depending on the nationality of the applicant. Special cases will be dealt separately according to the regulations of the Indian Mission or Consulate in your respective country. Such is the efficiency of India visa centers across the globe. You may check about the relevant visa center in your resident country by visiting the website of the Ministry of External Affairs (MEA) of the government of India. In conclusion, India visa centers across the globe are doing a great service to the potential visa applicants in their respective countries. They are equipped with the latest equipment, technology and highly qualified and experienced staff for this purpose. 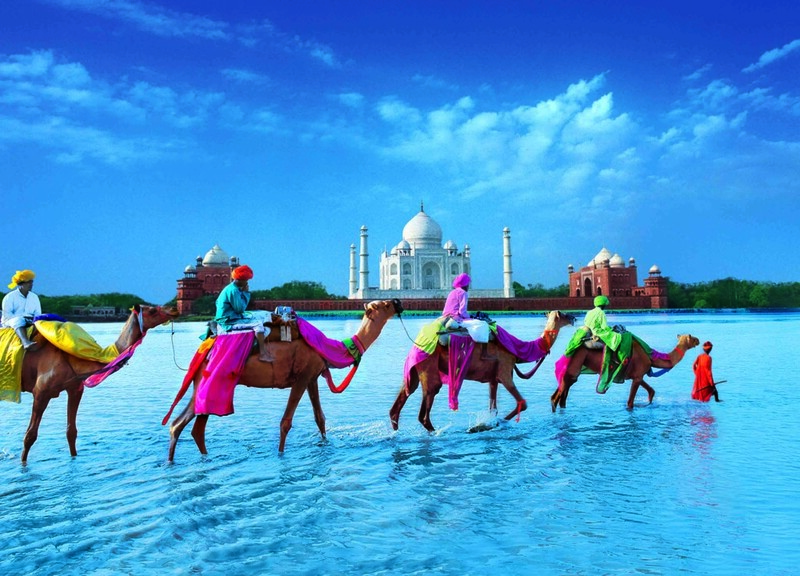 The aforementioned article provides a comprehensive overview of India visa centers abroad.